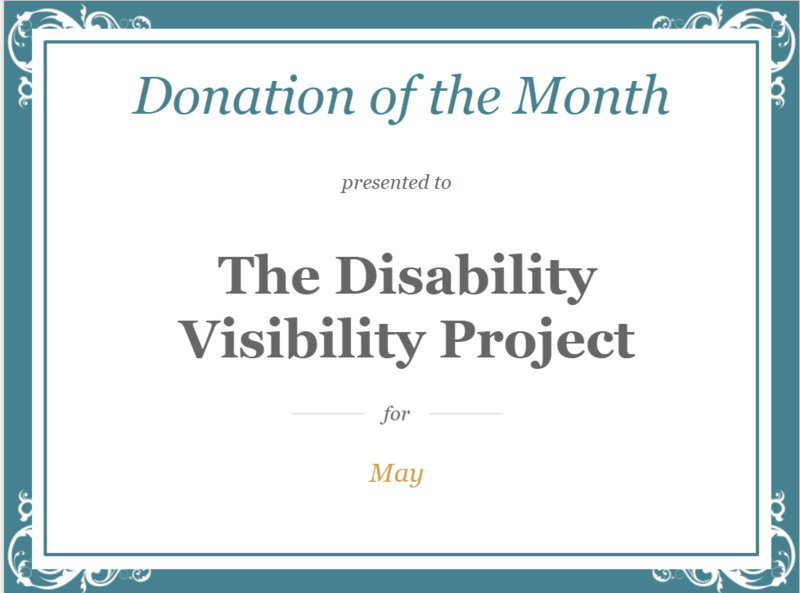 This month’s donation of the month goes to The Disability Visibility Project. DVP is the brainchild of Alice Wong. It is an online community dedicated to the story and culture of disability community. They are the only people who could also get me rolling in a Twitter Chat. Seriously. The Twitter Chats are well organized. The questions are thought-provoking and intense. It feels like a real conversation. Even though you’ve missed them, you should still read them. 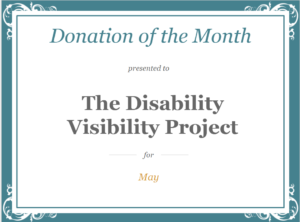 The Disability Visibility Project: for getting me, of all people, excited about Twitter Chats, you’ve got the donation of the month for May! You can donate to the Disability Visibility Project here. Please note, that it is NOT a 501c(3).